In our speaker demo room, you will find an assortment of speakers from manufacturers like Definitive Techology, KEF, Klipsch and Paradigm. 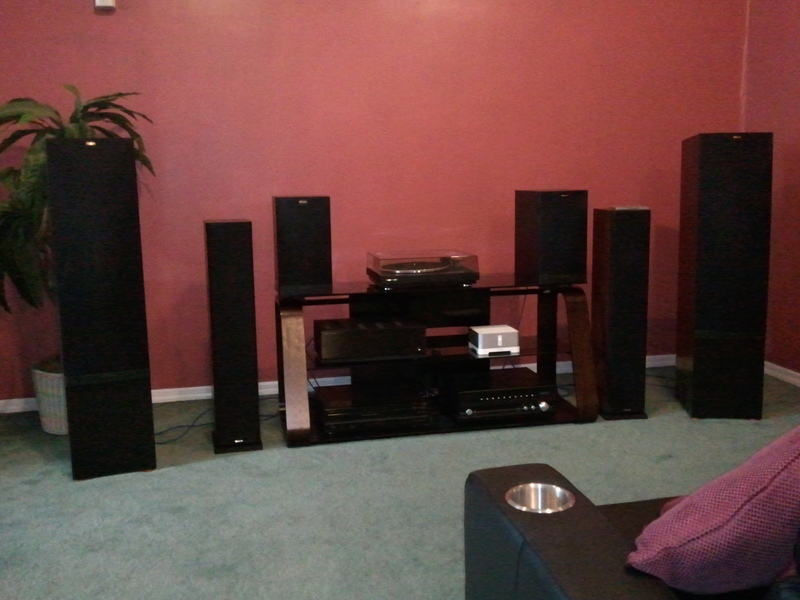 We carry a variety of bookshelf and floorstanding speakers in all price ranges. Sit down here and audition your speakers before you take them home. Bring your music or use ours. As always, if you would like to audition something that is not displayed in this area, let us know. We would be happy to setup the room with the products you are interested in. This display features a fully functioning Control4 system complete with a 60" Sony LED display, Definitive Technology Mythos speaker package, Denon surround sound receiver, Sony Blu-Ray, Cox Cable tuner, Sonos music system, Control4 thermostat, Control4 lighting control, Control4 Media Player and a Salamander Designs A/V cabinet. This system really demonstrates how easy to use an integrated system can be by allowing one-touch operation of multiple A/V sources and components. The system can be controlled through a hand-held remote, 7" touchpanel, Apple iPad, iPhone or iPod Touch or any Android device. Our Z-Base systems deliver high-quality, room-filling sound — from one cabinet, with one connecting wire...and a one-page owner's manual. Our exclusive PhaseCue II technology creates three-dimensional surround sound without a roomful of speakers and wires. Just place your Z-Base system on a piece of furniture, then place your flat-panel TV on top of it — then connect one wire and you're done! Sound & Vision magazine calls our systems "remarkably ingenious." Our 2-channel audio room is ever evolving, but you will normally find a nice mixture of mid to high-end audio gear like tube preamps/amps, inegrated amplifiers, DACs, CD transports, headphone amplifiers, turntables and speakers from companies like Golden Ear, Prima Luna, Marantz, McIntosh, Paradigm and Rega. This system rocks! Currently configured with a McIntosh C48 Preamp, a pair of Mcintosh MC601 600 watt monoblock amplifiers, a McIntosh MCD301 SACD/CD player, a Rega RP6 turntable with Ortofon MC Rhondo Bronze cartridge, Paradigm Signature S8 speakers and DH Labs 210 cables it doesn't get much better than this. 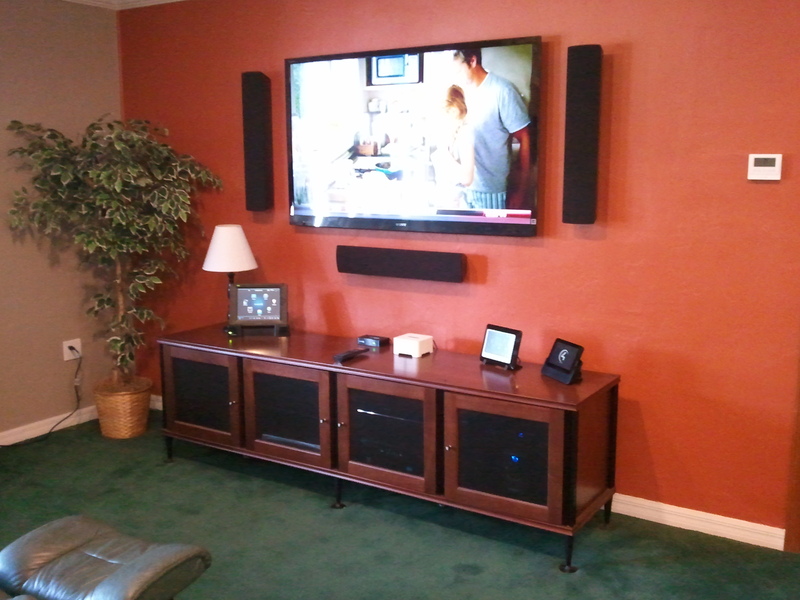 Our home theater showcases the latest in home cinema technology. With equipment by Integra, Klipsch, Screen Innovations and Sony, we bring the movies to the comfort of your home. An apple-based home automation controller by Savant really simplifes things while allowing you to control your system from an iPad or iPhone device.